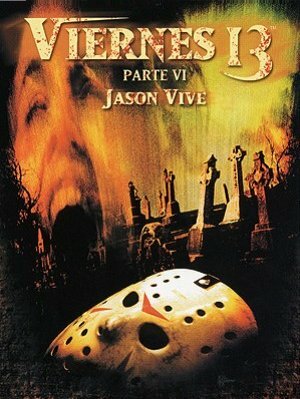 Tommy vuelve a visitar la tumba de Jason para asegurarse que está realmente muerto, pero accidentalmente le devuelve la vida. Ahora es el turno de Tommy. Deberá parar la locura de Jason matándole y devolviéndole al sitio dónde debería estar, el cementerio. Thom Mathews, Jennifer Cooke, David Kagen, Kerry Noonan, Renee Jones, Tom Fridley, C.J. Graham, Darcy DeMoss, Vincent Guastaferro, Tony Goldwyn, Nancy McLoughlin, Ron Palillo, Alan Blumenfeld, Matthew Faison, Ann Ryerson, Whitney Rydbeck, Courtney Vickery, Bob Larkin, Michael Swan, Michael Nomad, Wallace Merck, Roger Rose, Cynthia Kania, Tommy Nowell, Justin Nowell, Sheri Levinsky, Temi Epstein, Taras O'Har. Tom McLoughlin (Dirección), Jon R. Kranhouse (Montaje), Tom McLoughlin (Guión).